How To Find Out If The Defective Product Injured Other People? On behalf of Admin of JML Law, A Professional Law Corporation posted in Product Liability on Thursday, Sep 27 2018. If you have been injured by a defective product, chances are the first thing you did after treating your injury was Google whether the product had caused injury or even death to other people. It is natural to wonder if you are the only one who has been injured by a product. Sometimes, cases, when people get injured by products, are purely accidental. Other times, meanwhile, these injuries occur as something that could have been prevented had the manufacturer of that product not been negligent or reckless. Our Los Angeles product liability attorney at JML Law explains that an injured person’s desire to find out whether other people were injured by the product appear not only out of curiosity, but also because they want to know if it makes any sense to file a lawsuit against the manufacturer to recover damages. After all, other people’s lawsuits in which they successfully obtained compensation is arguably the best indication that your lawsuit may succeed as well. But here is where it gets complicated. More often than not, find out whether or not a certain product has injured others, people are required to hire an experienced product liability attorney in Los Angeles or elsewhere in California. The vast majority of injuries caused by products are severely underreported. The same can be said about product liability lawsuits, which are not always readily accessible to the public. A qualified attorney in California, meanwhile, has the ability to conduct nationwide and sometimes worldwide research to find out if the same product has been involved in accidents and lawsuits in the past. “Let me get it straight if there was no prior accidents and lawsuits involving the product that injured me, does it mean that I will not be able to recover damages at all?” you may be wondering. And the answer is: No, but knowing about other accidents and lawsuits can add much more legal value to your own case or even make it possible to sue the negligent manufacturer, distributor, and other liable parties in class action lawsuit. 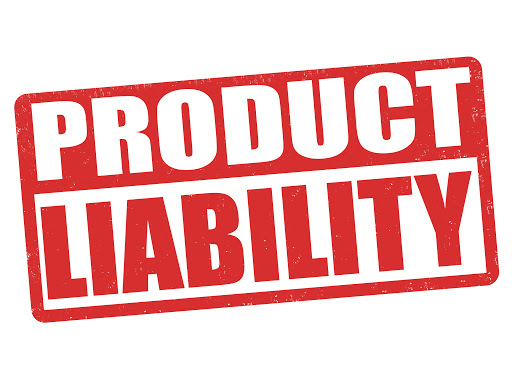 When the manufacturer brings its experts to testify in court that the product is generally safe, your Los Angeles product liability attorney will be able to counter the testimony by showing evidence of prior similar cases. As you can see, knowing whether a product was involved in prior similar accidents and lawsuit can significantly increase your chance of winning your own case. Contact our attorney at JML Law to conduct nationwide and worldwide research to supply your case with invaluable evidence. Call our offices at 818-610-8800 and get a free consultation.